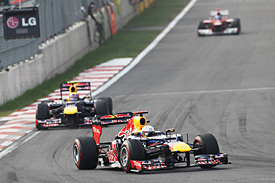 Toro Rosso will switch to Renault power for the start of F1′s new V6 engine era which will start from 2014. German specialist publication Auto Motor and Auto Sport, reporting that the Red Bull sister team will end its long association with supplier Ferrari after the V8 era concludes late next year. Red Bull Racing, the energy drink’s premier F1 team, is Renault’s ‘works’ partner, running major branding of Renault partner Nissan’s luxury arm Infiniti. They (Auto Motor and Sport), also report that “there are rumours Force India will in 2014 change from Mercedes to Ferrari engines”. The reason for the teams’ decisions could be mainly the price factor, with engine costs rising from about €8m at present to in some cases over €20m in 2014. Sahara Force India F1 team Principal Dr.Vijay Mallya has said he is in ‘no rush’ to confirm the teams’ driver line-up for F1 2013 and says that they will make the announcement at the end of the season like they have been doing in previous years. Following Nico Hulkenberg’s move to Sauber , a vacant seat is to be filled at the Silverstone-based outfit, and while Paul di Resta is thought almost certain to be retained, the identity of his team-mate remains a mystery. 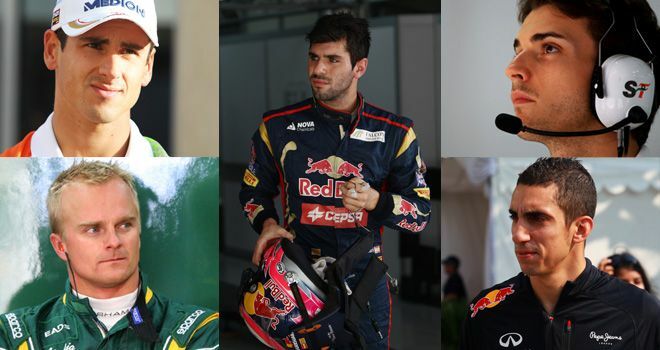 A number of drivers’ have been in contention including the team’s current test and development driver and Ferrari Academy driver, Jules Bianchi, as well as Toro Rosso reject Jaime Alguersuari, Red Bull reserve driver Sebastian Buemi, Adrian Sutil and current Williams driver Bruno Senna. Also Caterham’s Heikki Kovalainen was heard to be in talks with Force India last month. “We have traditionally waited until the end of the season to confirm our line-up and I expect we will stick to this schedule,” Mallya stated prior to this weekend’s inaugural US GP at the Circuit of the Americas. “With the state of the driver market at the moment there is no rush to make an announcement. Looking back on the previous race in Abu Dhabi, where di Resta finished eighth, Vijay Mallya admitted the race at the Yas Marina Circuit was bitter-sweet. “I have mixed feelings because we extended our run of points finishes, but on the other hand our two main rivals were ahead of us and scored well,” he explained. “With two races to go Sauber are almost out of reach and Williams are just 22 points behind us. As for this weekend’s race, Mallya is happy to see the United States rejoin the F1 fold: “It’s such an important market for the teams and the brands associated with the sport so it’s a very welcome return to the calendar. It will be the first time Sahara Force India has raced on American soil and the whole team is excited to be going there. Visiting a new venue always presents us with new challenges, but from what I’ve heard we can expect a first class facility. Austin is a friendly place with good hospitality and I’m sure we will receive a very warm welcome,” he added.